Jacaranda Pebbles rugs, a deep pile bouclé, felted wool collection of quality rugs. This collection is woven on traditional hand operated looms, this ensures each rug is unusual, charming and natural in character and texture. The pile is made from pure felted wool. Pebble rugs are made in India, the pile is around 5cm in depth and the weight is a staggering 5 kg/m2. 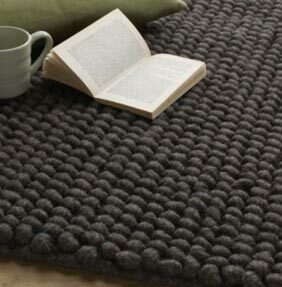 Pebbles shaggy rugs are made in four standard sizes, this range can also be bespoke to your required size.